A rustic hamlet in the Marwar Region of Rajasthan, which is the epitome of rural life. you can enjoy your free time here either by taking a walk in the village or visiting the village farms (this will help you understand the local agricultural economy better). you can also opt for a jeep safari according to your booking arrangements. We start our horse safari which keeps us on the horsebacks for most of our day. You will get that amazing feel of mounting a horse which has caught the imagination of people across the globe for hundreds of years…to add to your charm, it will be the famous enduring breed of the “Marwari” horses which will take you around, our destination for the night will be another arid village-“Elani”. Departure to Bagho ka Bagh, Its An Old Jungle Lodge in the valley surrounded by Aravali Hills. 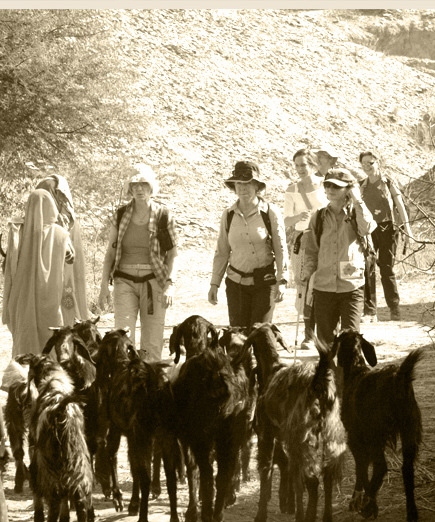 Lunch at Bagho ka Bagh Evening walk through Tribal villages and experience the highlight of the tour - Garasias. Garasias are one of the most colorful tribes of this area. After Breakfast. Start Trekking from Hotel through dense forest while spotting some interesting species of birds and trees. After completing trek visit to the mighty Rajput fort of KUMBHALGARH. AN undefeated fort and a miracle in Architecture. After the evening Tea go back to the fort for the light and sound show about the 500 years history of the fort. Overnight at Kumbhalgarh. Morning, after breakfast, we drive to “Foota Deval” by Car /Jeep. 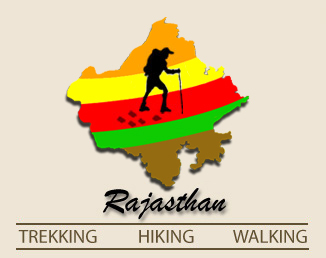 Foota Deval is the starting point of a Declining Trek to Ranakpur Jain Temple. On the way visit the ancient cave temple of Parsuram Mahadev. After Completing the trek visit the Ranakpur Jain Temple. This Temple is of High importance to the Jain community across the country. It is a beautiful architecture & a masterpiece in white Marble. (The Epitome of Stone Art & Carving)…. Any other item not specified in ‘cost included items’.